Sean joined the Human Economy as a postdoctoral research fellow in January 2016 having arrived in 2012 as a PhD student. He can be contacted on: [email protected] (+27) 12 430 3597. Sean is an economic historian and ethnographer of commerce and ‘mobile money’. 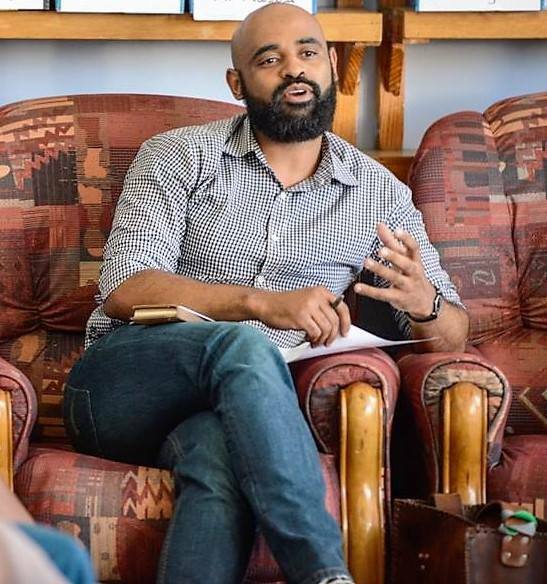 He was based at the Lesotho Chamber of Commerce and Industry as his ethnographic institution and point of entry into studying the history of indigenous entrepreneurship in post-colonial Lesotho for his doctoral thesis. He is working towards publishing his first manuscript on the economic history of Lesotho. Sean’s postdoctoral research is based on the emergence of ‘mobile money’ in southern Africa. He explores the development of ‘mobile money’ in Lesotho and South Africa, and uses the township of Diepsloot (north of Johannesburg) as his ethnographic site. Mentored by Prof. Keith Hart, Sean works under the Money in the Making of World Society’s Human Economy research theme. He is broadly interested in the ‘social and political life’ of money and markets in southern Africa. He publishes on the economic history of Lesotho, entrepreneurship and business history of Lesotho, cooperativism and mutual aid associations, and on ‘mobile money’ in Lesotho and South Africa. He has consulted for Lesotho’s United Nations Development Programme (UNDP), Ministry of Finance and Central Bank on ‘mobile money and financial inclusion’, and has taught in History, Development Studies and Anthropology at the National University of Lesotho and University of Pretoria. (Forthcoming) “Transnational mobility, legal concessions and the development of mobile money in South Africa”, CODESRIA Bulletin. “The rise and fall of African indigenous entrepreneurs’ economic solidarity in Lesotho, 1966-1975”, African Economic History, 45:1(2017). “Money and markets for and against the people: the rise and fall of Basotho’s pre-colonial economic independence, 1833-1930s” in Keith Hart (ed.) Money in the Human Economy (Oxford: Berghanh Press, 2017). "Survival in post-mining communities in southern Africa: women and entrepreneurship in Lesotho", in T. Salverda, A. Hollington, S. Klob, N. Scheinder and O. Tappe (eds), Hope for the Future: Efforts and ideas to improve the current economic predicament, http://gssc.uni-koeln.de/node/1190. “An obscured narrative in the political economy of colonial commerce in Lesotho, 1870-1966”, HISTORIA, 59:2 (2014). “Rationale for local entrepreneurship development policies and programmes in post-colonial Lesotho: Lessons from the colonial and immediate post-colonial Lesotho”, in Nichola Ozor, Kevin C. Urama and Anthonia Achike (eds), Strengthening linkages between policy research and policy making for sustainable development in Africa (Nairobi: African Technology Policy Studies Network, 2014). With Mushonga Munyaradzi, “Teaching, research and community engagement in, and on Africa: The reminiscences of Francina Liako ’Mawetzie Moloi, 1963 – Present”, TSEBO: Journal of Humanities, 2:4(2012). With Keith Hart, “Africa in the 21st Century: Building a Human Economy”, keynote speech delivery at the David Livingstone bicentenary, Africa and world history: a life and legacy reconsidered, Livingstone, Zambia, April 19-21, 2013. “Entrepreneurship in Lesotho: Past, Present and Future”, keynote speech delivered at the THUD (The Hook Up Dinner) Second Year Anniversary, Avani Hotel Lesotho, September 7, 2017.